Rebecca Walker Reczek is an Associate Professor of Marketing at the Fisher College of Business at The Ohio State University. 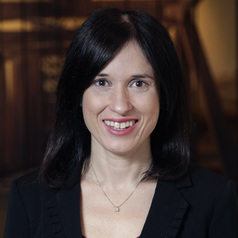 Dr. Reczek’s research focuses on the area of consumer behavior. Specifically, her research has explored consumer lay theories and inference making, social influence, and self-perceptions. Given her interest in consumer well-being, she has explored these theoretical interests in the substantive domains of food and health decision making, sustainability, and ethical decision making. Current projects continue to explore these areas, as well as consumer behavior in an online environment.